I’ve produced and/or directed several independent productions. Here are some films where I’ve taken an active role beyond the camera. Multi-camera production of the official launch of Gwyn Allen’s Louis Armstrong Tribute Album “I Love Louis” in front of a live audience at Pizza Express’s Soho Jazz Club. This EPK for the Pell Mell Theatre Company was to publicise their production of 17th Century play “The Rover” by Aphra Behn. Filmed, produced and edited by Colin Rogal. I was recently commissioned to produce a film for the Roald Dahl Foundation as part of their annual Roald Dahl Day celebrations. 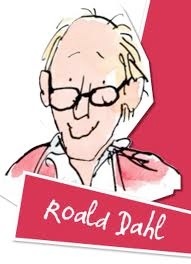 It was called "Everything You Wanted To Know about Roald Dahl but Didn't Know Who to Ask" and featured extensive interviews with family and friends including Quentin Blake, Sophie Dahl and his widow Liccie. The film was written and directed by Jake Wilson, edited by Tom Swingler and has now been seen by tens of thousands of children throughout the UK. Here's the final part download and if you think this kind of film could help your organisation please get in touch.